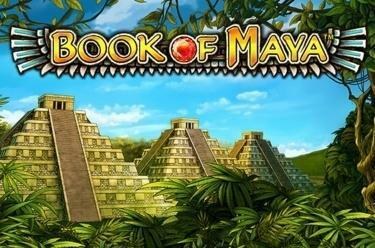 Play Book of Maya™ online for free now! We have just got news of the sensational discovery of a new but completely unexplored Mayan temple in Central America. But that's not all, for our ambitious explorer has also found the book that transforms Mayan symbols into Twists! 5 reels and 10 win lines are waiting for you, as is the Mayan gold! Your mission is to match 5 symbols along the 10 win lines! In fact, if you line up just 2 of any symbol from left to right without interruption, you’ll be a winner! The book is your key to winning big - because it is the joker that replaces all the symbols - as a Scatter it opens the door to 10 free games! Enter the world of free games - if you land 3 or more books in any position you've made it! You will play all 10 free games with the settings of your last regular round. Initially a special symbol from the book of the Maya will be determined. The special symbol can be extended to all the positions of a reel during the free game and pay in any position on the line. If 'Extra Bet' is activated you can win bonus respins during the free game. Everytime a paying combination of special symbols is extended all the remaining reels will spin again. 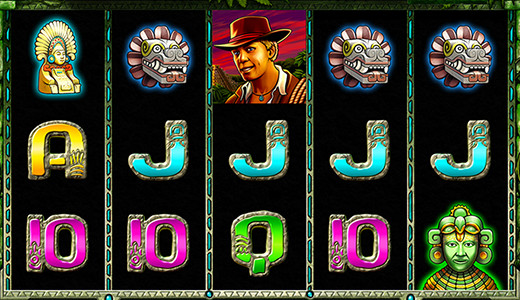 With some luck you will land more special symbols and improve your winning combination!